Man it was a cold one. 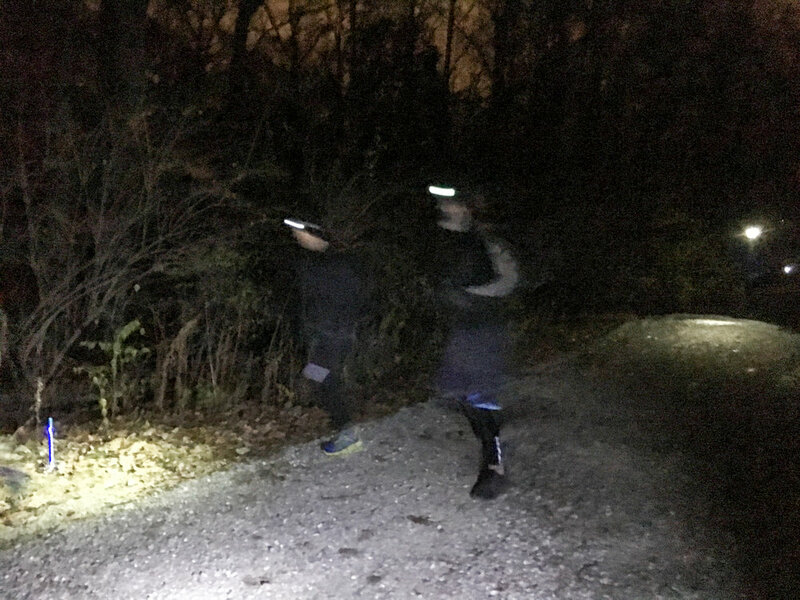 But, the Night Moves running community is a brave, tough, and determined group that is not easily deterred by 20 degree temperatures, the threat of frozen roots on the trails, or a 10pm start time. The cold and busy holiday season did influence some as 44 of the 62 people registered actually made it out. Those that did make it brought a ton of energy, enthusiasm, and support of our work at NeighborLink. Thank you to everyone that came out. We appreciate your support and loved Friday night. We also have Blue Jacket, Inc, who operates the Fantasy of Lights, for even allowing us to run through the lights and for staying late to host us. They don't have to do that and we're grateful. If you're not familiar with Blue Jacket, connect with them and support their cause. We've been office mates for several years and they're one of our favorite nonprofits that are doing what very few want to do, help the hard to employ population get and retain jobs. Significant work to reduce poverty, recidivism, and restore the dignity of folks that truly want a second chance. 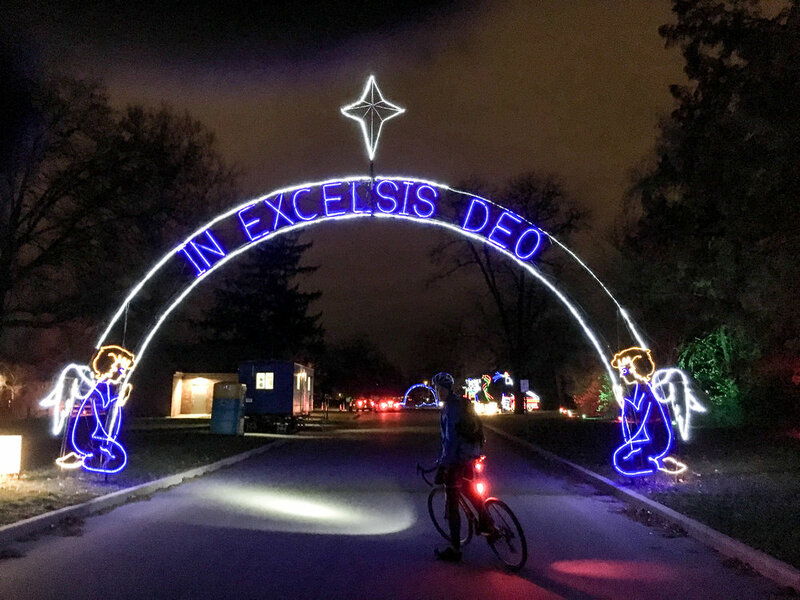 Take your family/friends through the Fantasy of Lights this year and all proceeds benefit their work. Despite the cold, the wind was minimal, the course was dry and the trails frozen, which made for a great run. Once runners got out of their cars, towed the start line, and got running, they were warming up and setting some great times. 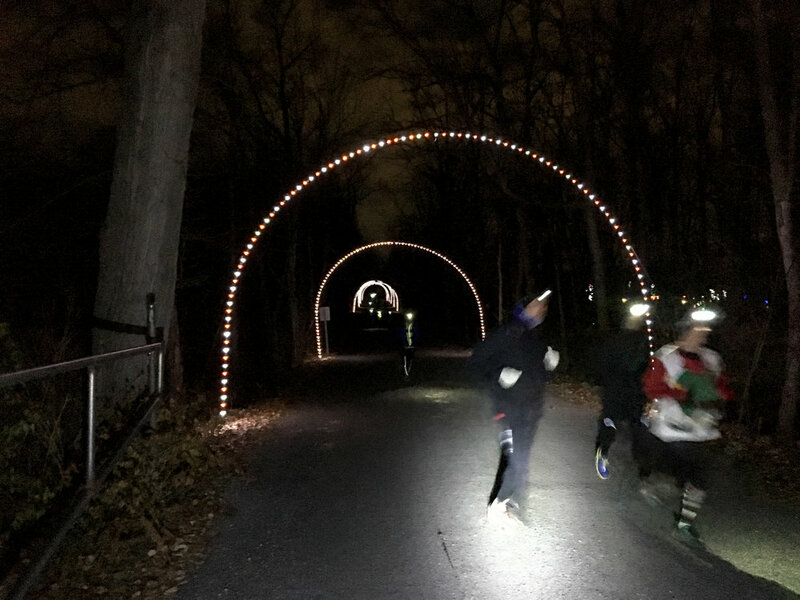 Nate Edwards ran the approximately 3.5mi course in 22:56 and Mirah LeGault won her second Night Moves of the year with a time of 32:40. The paces were quick all night. 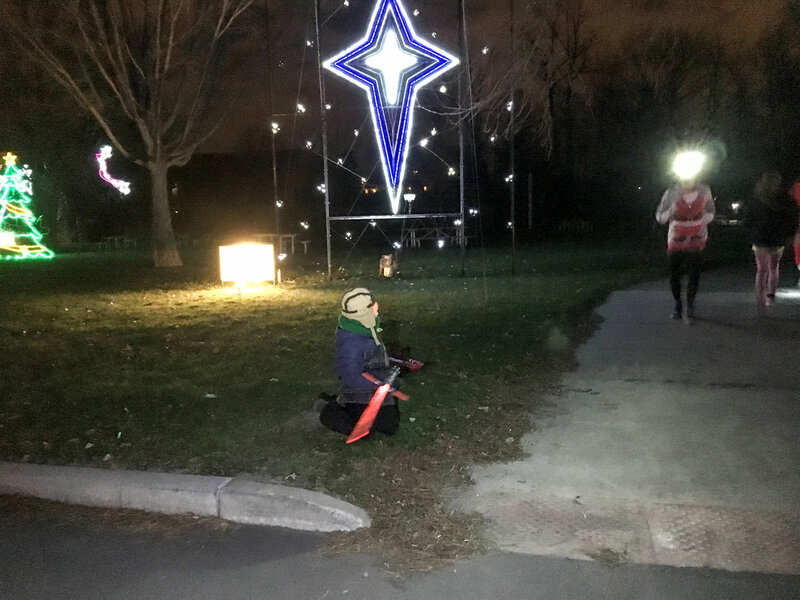 The true heroes of the night were the Night Moves volunteers who helped setup of the course and stood in one spot for about an hour to help keep runners on track. We've been blessed by dozens of incredible volunteers all year long who help make these races work. We know they have as much fun as the runners do, but its a lot to come out at 10pm. So, thank you. Most of all, Almost $900 was raised for NeighborLink Fort Wayne's efforts to put furnaces in home of neighbors in need this winter. We'll put this $900 towards the TNCLX team's efforts to raise $8,000 for 4 furnaces. You can read more about that or make additional contributions here. In total, Night Moves running events in 2016 have generated close to $6000 in project funding for projects volunteers have taken on at NL. We are humbled by the reality that these small, unusual running events are truly making an impact on our mission to help neighbors in need. Thank you for believing in us, loving to run and for being willing to join us for the 10 races we've done in 2016. Plus, we love seeing all of you in Team NeighborLink t-shirts and socks around town all year. We'll see you in 2017 with some new ideas, locations, and a schedule of Night Moves events. If you ever have any feedback on what we could be doing better, different, or that we should keep doing because you love it, please share it with us here!